I've been browsing this forum for the past year or so while I've been searching for the appropriate 911/912 to turn into a long term project. I'll admit I'm not a purist, but I've loved the lines of the air-cooled Porsches for as long as I can remember. My ultimate goal is to pick up a car that I could drive for a year or so, as-is, with minor modifications here and there until I decide to really delve into the modification process with a new motor, transmission, improved chassis components, brakes, etc... And I'll likely not remain with a Porsche powerplant when that time comes so it'll become more of an Outlaw. That being said, I'm incredibly fond of the way a widebody 964 presents itself and would like an honest assessment of what is a reasonable price for the below 912E. It'll obviously offend some pretending to be something it isn't, but it has a look that really appeals to me, and I wouldn't feel bad about "ruining" a 911 once the time came to undergo significant modifications. "Widebody kit' has bad connotations. Fiberglass rear flares and bumpers perhaps, part and installation quality can be a nightmare. 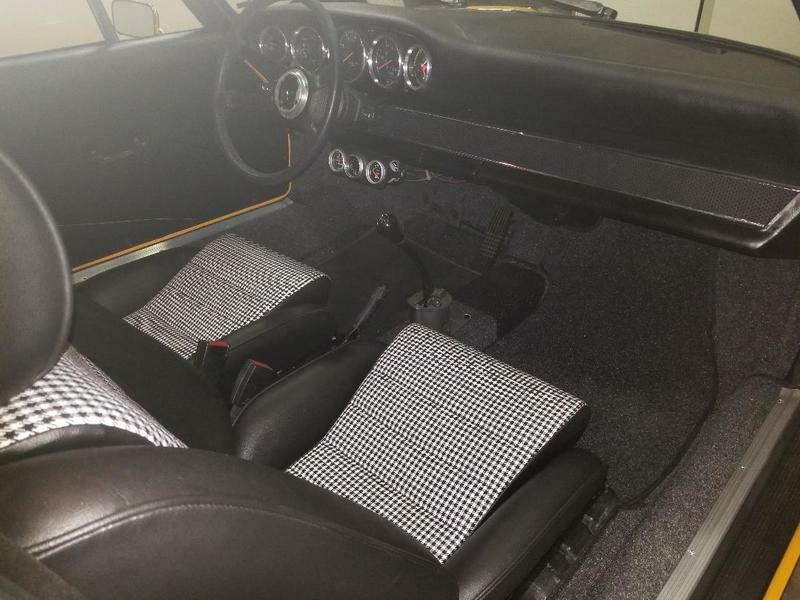 Interior is a mess, looks like a spray can die job on the dash and JC Whitney seat covers. You're not going to use a 912E engine and trans. Spend another few $1000's and find a better starting point with an already viable powertrain. 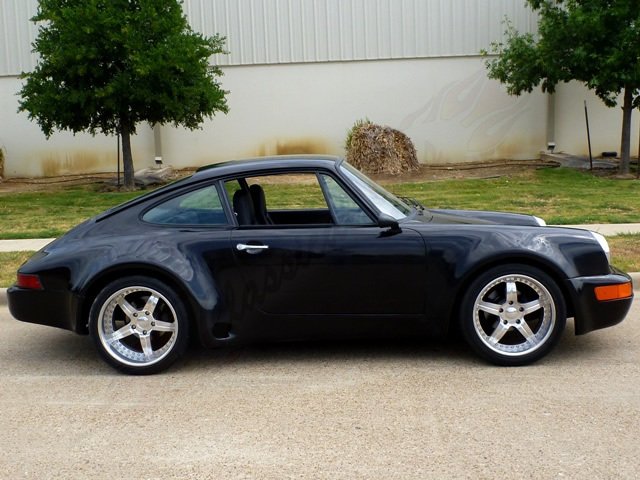 There are loads of SC and Carrera's available now for $25k - $35k that have good bones. Don't make the mistake of blowing your money on a car like this because of emotion. There is perfectly nothing wrong with a 912E - but this one is wrong. There is a great brown 912E that one of the members is selling here. It's in the for sale section at $20K. This is a much better base. Get out there and look around. There are a lot of cars - much cooler than this one. This one is a disaster. Beautiful car. How long did the process take? What’d the original 912E run you and what shape was it in? Thanks. I've owned the car since the 90's and I purchased it as a roller, so I dont remember what I paid and its probably not relevant anyway since its so long ago, however it had steel flares and the cage installed. I think the 912E is a great platform due to the galvanized body and super easy conversion to 911 specs. It may not fetch as much as a modded 911 but than again you never know, since its basically just a mid-year backdate at this point....with a turbo 3.2 That said, the 912E in question needs lots of work just in drivetrain alone so for the money it would take for a nice 3.2 or 3.6 with even a 915 you could have just found a nice mid year 911 or Carrera. I would have to say pass unless you found a nice roller for a lot less. I'd drive a 912E. The Type IV engine is a dream to work on compared to a 911. You don't get the 911 power, but you can easily get 200hp if you spend $20K on an engine. Oh, that's when I realized that I should just get the 911 in the first place. Glad I did. What I would not do is spend 911 money on a 912E. And you probably easily can if you buy one at a high price. Better to wait and find a comparable 911. Agreed, its been a while but I think I just spend a few grand on it as roller back in the 90's. It also had steel flares, a 6 point cage and the body had zero rust, so for me that was a great starting point. Unlike the early 912's the 912E already has the engine mount brackets welded in place from the factory and the body is galvanized. You basically only need to cut out a small area to install an oil tank and a big motor will go right in. The rest of the systems like brakes and suspension were going to be upgraded either way so that was moot. I'll see how it plays out if and when I decide to sell but I believe that someone looking for a longhood hotrod is basically looking at backdates since those newer cars have the galvanized body and usually a bigger engine, better suspension & brakes. The backdates are no longer looked upon as what they originally were rather they are "backdates" created from a doner car, be it a mid-year SC, a Carrera, a 964 or even a 912E. The price a backdate commands seems to be predicated on the build quality, attention to detail and Pedigree only in regards to the builder. I don't think that a person looking for a numbers matching early SC would be in the same demographic as the guy looking for a backdated hotrod. I may be wrong but that's what I suspect. That's awesome. I never knew that the 912E setup was already good to go with the mounts. That's pretty huge. It's essentially a 911 midyear then. Something to think about for potential 912E buyers who can possibly get a smoking deal on a tired 912 and want to go the 911 route. However I don't know how many 912E deals are left right now. I agree about the backdates not looked upon as the cars they originally were. Or hotrods for that matter. That hotrod based on a 912 went for huge money on BaT months back - no one cared, certainly not the buyer and many other bidders. Like you said it's going to come down to details and the builders that make all the difference. 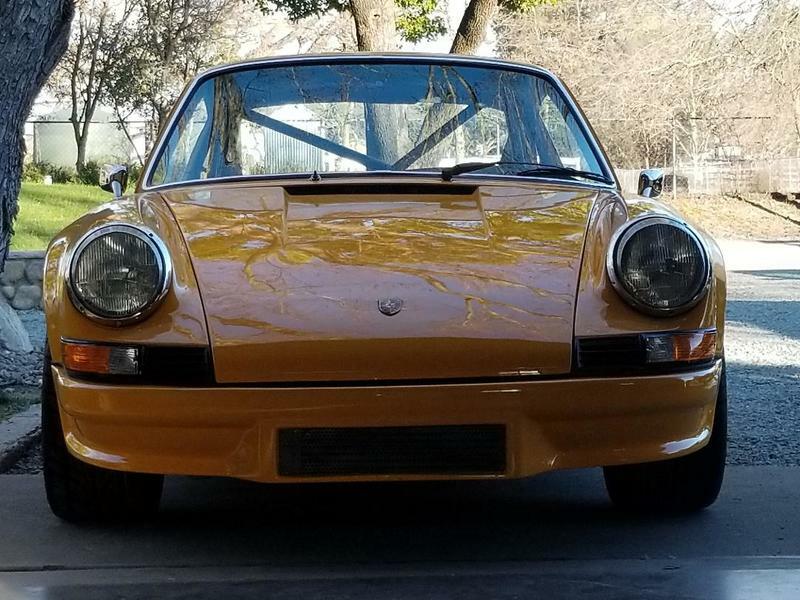 Good luck finding a good 912e for cheap. They started to go up in price about the same time as 74-75 and before 76-77 middies. I had one for a year. Fun light little cars and all the type IV mods you can do to a 914 work on them to. Jake Raby drives one with 150hp out of one of his 2.2s. And they use the 7:31 as found in an early 915. Basically they are geared like a 73RS. It’s a mid year 912E! It’s already ruined!!! Just kidding!! 0-60 in 24 seconds is really not that bad! Sadly enough I believe that 912Es got way more respect than any midyear 911 before now. I think they went for the same or more money compared to a '74-'77 pre-2012. I don't have much data on this, or I may be remembering things incorrectly, but I believe that a 912E was more desirable than my car, a '75S for several years. I think you picked up my brothers old Targa, is it Tobacco Brown that someone had listed on The Samba? If so, he sold it around 1995. Original 2.7 bit the dust and at the time "middies" were going for under $10K. 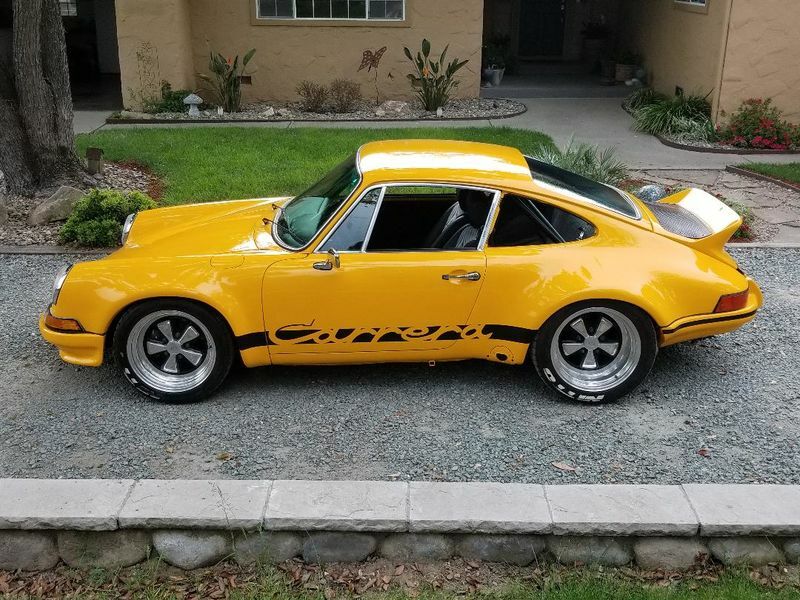 He converted it with a Type IV motor; found it was underpowered at the time and let it go and replaced it with an 84 Carrera. That's correct. I had mine 10 years ago. 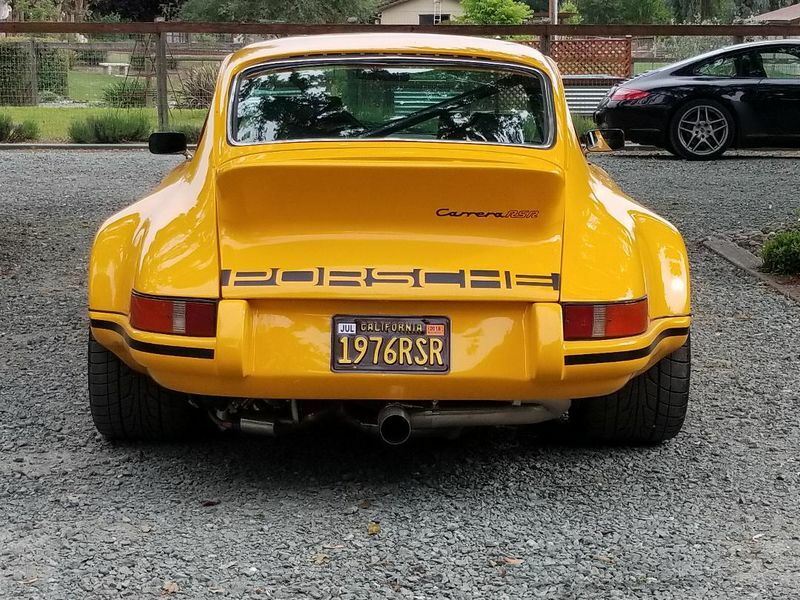 I sold it and used the proceeds to buy a 1968 911T. Why exaggerate the numbers like that, NastyNick (it's 0-50 in 32 seconds)?!? !